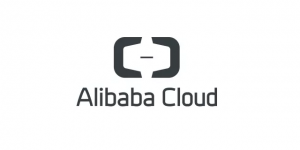 Just After Midnight are running an event in conjunction with Alibaba Cloud, exploring the exciting opportunities for Asia growth for digital agencies and their clients. If you are a business, operations and technology leader in a digital agency looking to grow into Asia or if you have an interest or active requirement to support clients pursuing growth in this region, this is a perfect event for you and you can find more information below. Register here to save your place. China is steaming ahead to become the world’s largest economy and the internet represents a significant driver. The Chinese internet economy represents more than 800 million users in 2018, 170 billion in revenue in 2016 and is set to contribute up to 22% to China’s productivity growth by 2025. Digital now underpins business across all sectors in China. As more and more companies pursue China and Asia-growth strategies, a real opportunity has emerged for digital agencies to support international B2B and B2C brands expanding into Asia as well as looking into growing their own agencies further in the region. This event is for business, operations and technology leaders in digital agencies looking to grow into China/ Asia or whom have an interest or active requirement to support clients pursuing growth in this region.